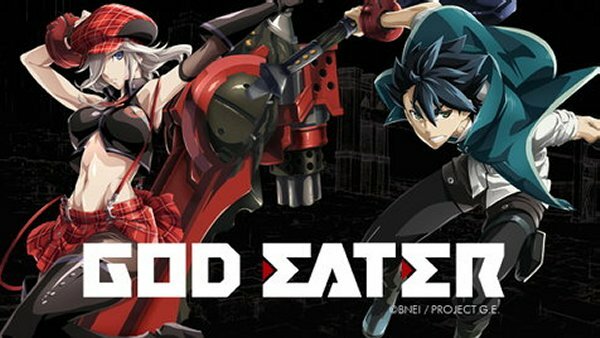 If you're looking for an anime with gore, complex characters, a story line full of twists and turns with a lot of action, you have definitely chosen the right anime within watching God Eater. I definitely feel like I will be binge watching this anime again because of multiple reasons alongside of the fact that I feel like whenever I watch amazing anime, I tend to re-watch the series and see things that I missed originally when I saw it for the first time. So let's jump into my review of the anime God Eater and the reasons why you should check it out. During the time of this anime series, it is very post apocalyptic. It does shuffle between past interactions between characters of how they came to be who they are now, but the current setting is within a land where basically destructive aliens roam the land. However there are areas where people live. Some are more safer than others depending on the circumstances... and that is all I will say because I do not want to spoil it for any of you who are interested in this anime. It has an amazing plot, that is very in-depth. To be completely honest, I was so lost when I initially started watching this series and there is a lot of information within this anime that I do not quite understand. I am hoping that they clear up the information examined within season 2 because I am hopeful that they will create a season 2 of the series. Every story of each one of the characters is intertwined to a certain degree. This is definitely one of the most well-written anime and even pieces of work I have ever seen in my life. Most characters in this anime seem to have either a complex or relateable background about themselves. I think one of the main reasons I like this show is because of the diversity in the way the characters carry themselves. They all have different purposes for fighting in the war that they are fighting. Some we become aware of in this season and some we are waiting to become aware of if the creators ever decide to complete season 2 of God Eaters which I hope that they do. Gore level - The gore level is up there. I would give it a 5 out of 5 for gore level. If you despise blood or killing within anime, I would suggest you not even think about watching this show. The action is rather phenomenal and realistic. I do appreciate that this is an anime that doesn't do too much. It seems like the gradual build up of strength is truthful and not exaggerated. The action scenes also show how even the main characters lose the battle sometimes even within striving to do the right thing. I love anime that is realistic within that nature. The depth of the villain in this series makes you think you know who the villain is...but do you? The main villain of this series is one of the utmost realistic villains I've ever seen in an anime in my life. You think you have a concept of the true villain of the series, but eventually you realize who it is and their ultimate purpose. Overall if you love an anime with depth and a lot of action with realistic characters, watch God Eater. You can watch God Eater for free on Crunchyroll.